Having the weekend off I was recharged and ready to tackle my second week trialling at Millwall. It was nice to relax and get a good recovery in after the past couple of weeks but at the same time my mind just wanted to be playing football and doing everything I could to get a contract. When monday morning came around I was up with the sun and out the door for the two and a half hour journey to the training ground in south-east London. It was a tiring journey but at the same time it was nice being able to see parts of London along the way while talking with family and friends. Arriving at the training ground, similar to the first day I was excited to get stuck in and train. The first thing that would happen was seeing the kit man and getting gear. I found it interesting in my first week how a lot of people had questions about Australia; where I came from and what I was doing in rainy England. Every morning all the U23’s players had to be in for breakfast by 9am, if they weren’t they would be fined. At 10:30am every day we would be in the gym doing pre-activation which included a lot of band work, body weight exercises and light weights. By 11am we were out on the pitch and training. Every morning was the same from breakfast through to training. After a couple days I knew what I was doing and was settling in comfortably. My first couple of weeks in England were quite warm, it almost felt like Australia. Walking out on to the pitch every bit of training had already been marked out by the coach. Everyday walking out and seeing something new was always a little bit intimidating but once I started training I forgot what was around me and just focused on what I was doing. Before each session starting the U23’s Coach Kevin Nugent would bring the team together and explain what the session was going to involve and what he wanted us to get out of it. After that, we would be off with the sports trainer warming up and doing some technical ball work before getting into the full extent of the pre-season training. Every session was normally around an hour and a half but I can say by the end of training it felt as though you were running all day! Once the warm up and technical side of the sessions were finished, the team always knew what was coming next; running and small sided games. The focus of the second week of training was fitness and overcoming the feeling of exhaustion. Over the course of the week, I had adapted to the training and began to understand the style of football Millwall were coaching – physical, direct and aggressive. After training there would be no time to rest because it was straight into the gym. I found this to be a killer. Depending on the intensity of the session we would either do strength sessions which meant heavier weights, or power sessions which were more explosive work. Being in the same facilities as the Millwall first team was a learning experience in itself for me. Just from the second week of being there I could see how well these players got along and how well they treated the younger players. Being able to meet some of them was an amazing experience and little did I know that over the course of the next year I would get the chance to play alongside them. By the end of my second week of training I knew that I did well but hadn’t received any feedback from the coaches. It had been a difficult week but at the same time I was enjoying the experience and knew just from the past week of football I had learnt so much. 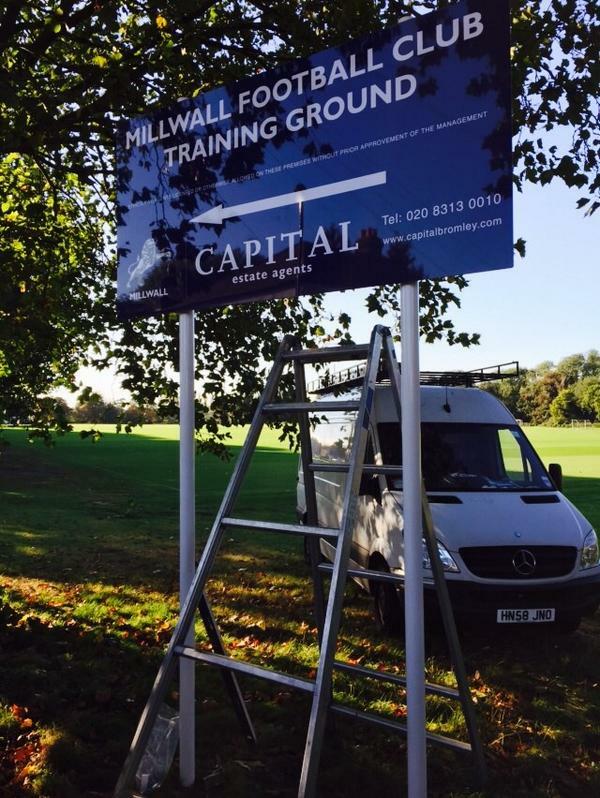 ‘Signing Pro At Millwall Football Club, Part. 3’ coming soon! Hey Krystian! This is from Xawek!